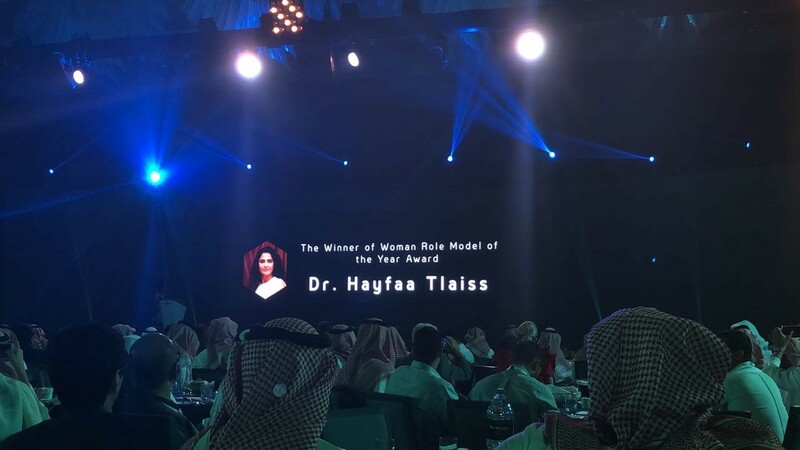 On March 27th, 2018, at Arabian Society for Human Resources Management (ASHRM) 2018 Conference, Dr. Hayfaa Tlaiss received the ”Woman Role Model of the Year” Award. The award is an acknowledgment of her huge efforts in advancing knowledge on diversity in the Arab World. It is also an acknowledgment of her ability to motivate and empower young Arab women in the region and inspire them to work hard, pursue their dreams, and be the best they can despite gender discrimination and patriarchal cultures. ASHRM’s award is thus a token of appreciation to Dr. Tlaiss who is well known for giving Arab women a voice in her research in employment, management, and entrepreneurship and putting gender issues as well as the Arab woman on the map of mainstream management and entrepreneurship research. Dr. Hayfaa Tlaiss has an impressive research track in the area of diversity management with more than 30 journal articles and book chapters.